Spending on gaming, entertainment and sightseeing in Singapore rose to almost SGD1.5 billion (about US$1.1 billion) in the first quarter of this year, about 6 percent more than a year earlier. For the first quarter, Singapore reported total tourism receipts of SGD6.7 billion, a 0.5-percent decrease compared to the same time last year. The official data published by the Singapore Tourism Board on Tuesday showed that increased receipts from spending on gaming, entertainment and sightseeing made up for reduced spending on shopping, accommodation, eating and drinking in the three months to March 31. 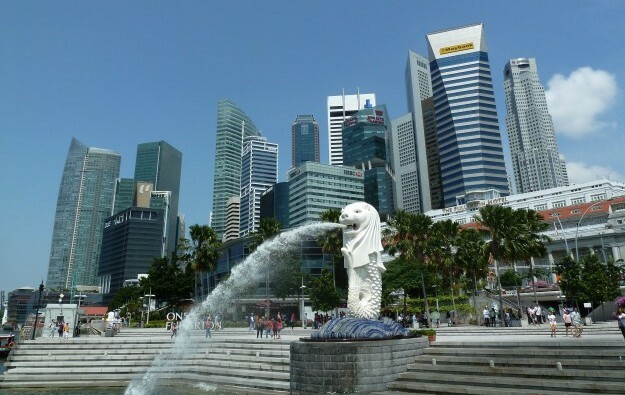 The Singapore Tourism Board figures indicated that revenues from sightseeing, entertainment and gaming contributed 22 percent to the total, making it the equal second most important component of tourism spending for the first quarter. Shopping also contributed 22 percent to first-quarter tourism receipts. The city-sate’s tourism body does not offer a detailed breakdown of services covered in each spending category, but the heading of “gaming, entertainment and sightseeing” includes spending on day tours, entrance fees for attractions and nightspots, and entertainment at the city’s casino resorts. Singapore is host to two casino resorts: Resorts World Sentosa, operated by Genting Singapore Ltd; and a Las Vegas Sands Corp unit, Marina Bay Sands. About 4.6 million people visited the Southeast Asian nation in the first quarter, 7.3 percent more than a year earlier. About 933,000 of the visitors were Chinese, 10 percent more than a year earlier; about 747,000 were Indonesians, 4 percent more; and about 295,000 were Indians, 22 percent more. For the first six months of this year, Singapore welcomed nearly 9.2 million tourists. That represented an increase of 7.6 percent for H1 compared to the same period last year. Travellers from Greater China accounted for about 24 percent of the total. There were about 2.2 million arrivals from Greater China, an increase of 10 percent in year-on-year terms. Most Greater China tourists – about 1.7 million – were from mainland China, which is a year-on-year increase of 11.4 percent. Last year, Singapore saw a 6.2-percent increase in tourist volume. The country’s 17.4 million tourist arrivals for 2017 set a record and included about 3.23 million visits from Chinese travellers.